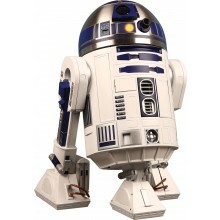 Immerse yourself in an amazing range of Star Wars Collections only available at ModelSpace. Opt for the PREMIUM offer and receive exclusive 1:18 scale hangar accessories to create a detailed display of your X-wing including Luke Skywalker pilot figure that slots into the X-wing's cockpit! The Star Wars X-wing model is inspired by the movie props from Star Wars A New Hope and The Empire Strikes Back. With every pack, you will receive high-quality parts to assemble your model as well as official full-color magazines including an easy-to-follow, detailed Assembly Guide plus a fascinating look inside the Star Wars universe. 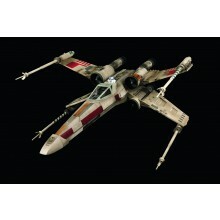 Build your own officially licensed Star Wars X-wing model in impressive 1:18 scale and with a wingspan of 25.7 inches. 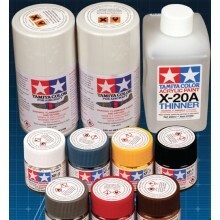 Now also available as Full Kit! 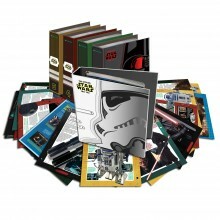 The Star Wars Fact File is an amazing new work of reference for the world of Star Wars. Every month, collect 5 new magazine files to store in your binders, building into the largest and most complete Star Wars guide ever published. 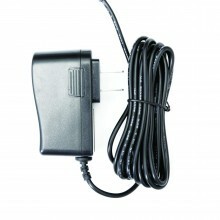 Includes binders and section divider cards to keep your collection protected and organized. Introductory Offer: Get your FIRST MONTH for only $9.99! 24 months subscription at $24.99 / month. 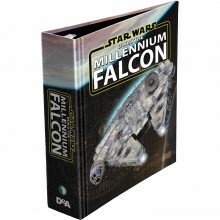 Enter a galaxy far far away as you take on the experience of building your very own Star Wars collectibles. Here at Model Space, we offer the chance to expand your Star Wars passion by creating magnificent replicas of your favorite characters and structures from the famed franchise. Earn a sense of pride and feel the joy of constructing a masterpiece Star Wars collectibles model. With our exclusive range of Star Wars collectibles kits, you can get up close and personal with your very own R2-D2 or learn about every detail of the majestic Millennium Falcon. 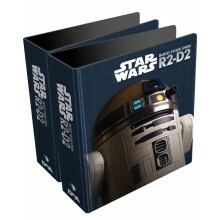 In addition to our incredible Star Wars models, we offer accessories such as the Star Wars fact file which is full of captivating information about the movies. 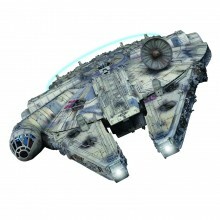 Why not add to your Star Wars model kit collection with some of our fascinating accessories. Discover the depths of the Star Wars universe with the Star Wars fact file, a fantastic addition to your model kit collection. With a total of 120 issues, you will receive 5 issues a month and your order will also include 6 Star Wars binders, each sporting their own unique designs as well as section dividers to ensure you keep all of your mementos organized. In addition to perfecting your building skills and acquiring an admired model, each shipment includes 4 color magazines with a step-by- step assembly guide which helps you along the way on your model building journey. The magazines will also take you deep inside the depths of Star Wars where you will learn amazing facts about R2-D2, Millennium Falcon, the Guide to the Galaxy and the Secrets of Spaceflight. Immersing yourself in our Star Wars collectibles collection for your model building experience is the ultimate way to engage in the enjoyable art of scale models and to enthral yourself in the captivating world of Star Wars. Whether it is your first build or a new addition to your collection, this exciting project will transport you into another dimension and take your imagination on a memorable journey. Building Star Wars collectibles is a great way to spend time with kids or simply unwind in a realm of concentration and creativity. Begin your model building journey today with the Star Wars collection from ModelSpace.